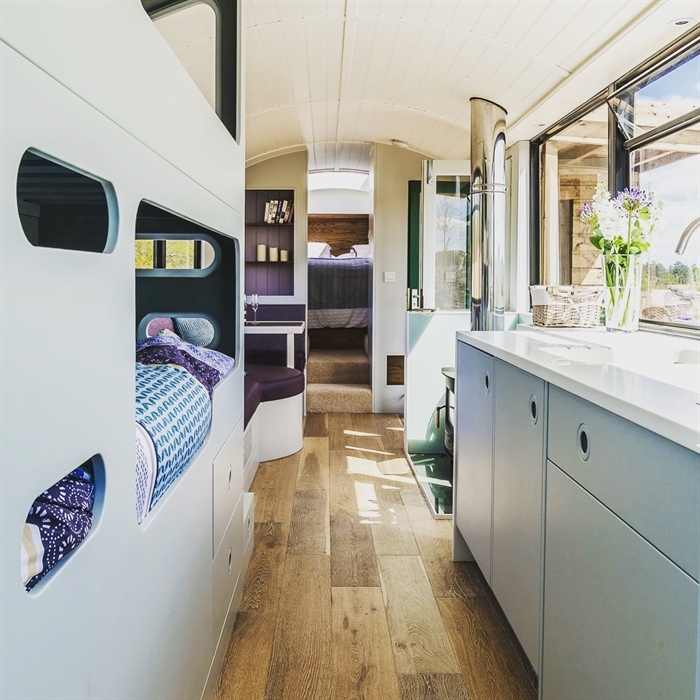 Unique accommodation on a single decker bus, bespoke interior with a touch of luxury. 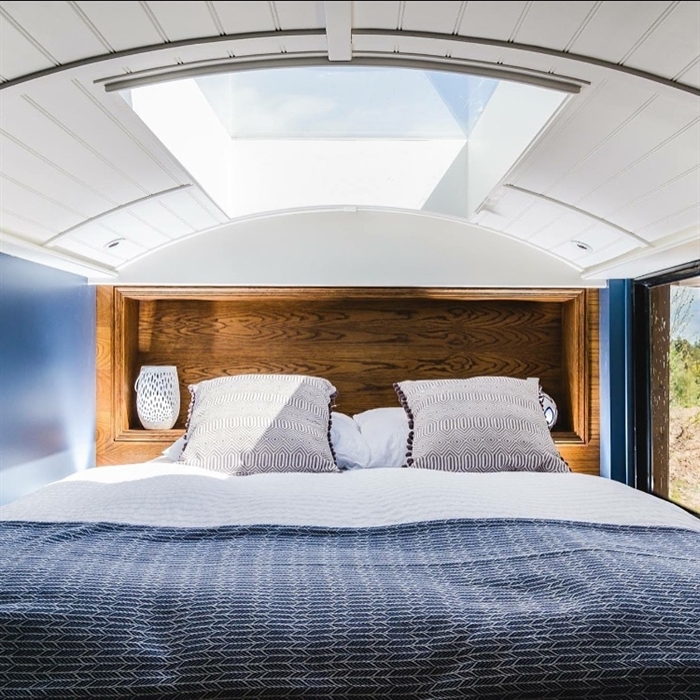 Large deck with log fired hot tub, BBQ, fire pit, set on a spacious grassed area with uninterrupted views of the Lammermuir Hills, a perfect getaway. 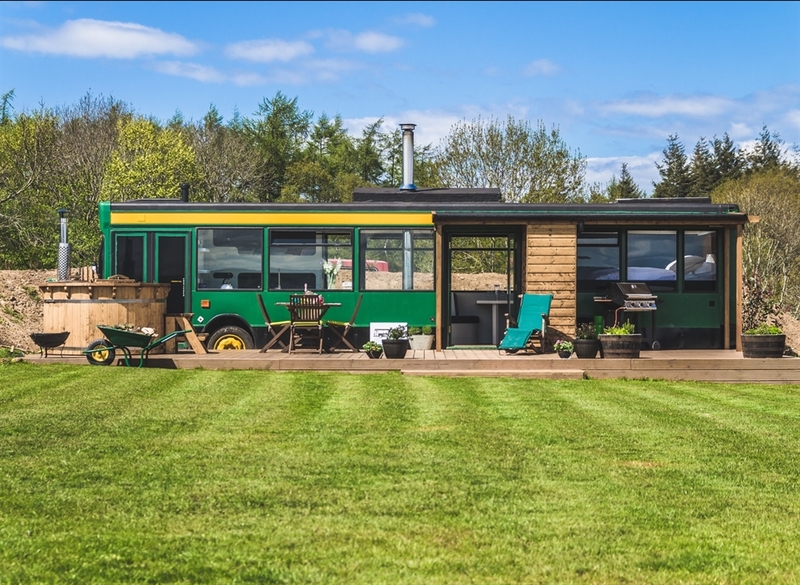 Single decker bus accommodation on a working arable farm in the countryside of beautiful East Lothian. Your accommodation is set on a spacious grassed area with wonderful views to the Lammermuir Hills.